Ahly faces a difficult test when they square off against Guinea’s Horoya FC in the African Champions League, according to the Reds assistant coach Mohamed Youssef. “We respect all opponents, but all indications say that we will be facing a difficult and strong opponent, especially as they reached the quarters alongside Morocco’s Wydad, while South Africa’s Sundowns were eliminated from the same group,” Youssef was quoted as saying on Ahly’s official website on Monday. The Cairo giants will be hosted by the Guinean team on 14 September in the first leg of the prestigious tournament’s quarterfinals, while the return leg will be played in Cairo eight days later. “All expectations were that Wydad and Sundowns would be the ones to qualify from their group, but Horoya succeeded in booking a place in the quarters and that proves that we will be facing a strong team,” the Ahly coach added. “We are looking forward for achieving a positive result away in the first leg to make our mission easier in the return match. 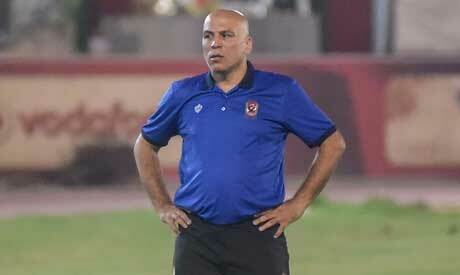 Ahly always play the matches to win,” Youssef concluded. Ahly, the record eight-time African Champions, finished on top of Group A ahead of Tunisian giants Esperance. After losing last year’s final, the Cairo giants are hoping to claim their ninth African title and first since 2013.